Articles about paid media, advertising and any communication that is intended purely to persuade the audience of another medium. 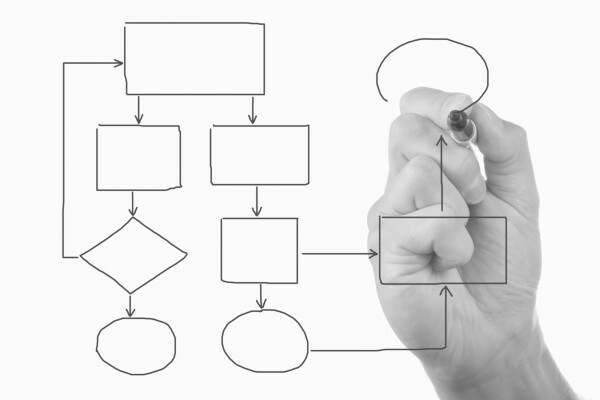 The Lean Branding process consists of strategy, messaging and design. Of these three, messaging and copywriting is often the hardest to apply lean principles to. Language can be very subjective, so judging how best to create copy in a fast-paced environment is not easy. There are a few lessons I’ve learned from creating copy to help express a refreshed brand position. Copy and messaging is where your brand comes to life in the written word. People are visual creatures, but language is still one of the most powerful ways to communicate and persuade. In almost every industry copy and messaging is a vital part of bringing the brand to life. Management Consultants and Advertising Agencies are both fighting to move into Digital Innovation Consulting. 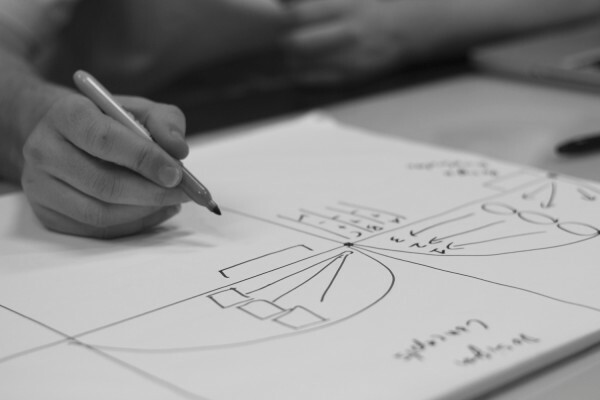 Over the years, I’ve worked in several of the grey areas between management consulting, advertising, and design thinking so I’ve seen some of these macro industry changes first hand. The toughest part of my career has always been finding the chink in a client’s armour that lets us get close enough to the boardroom to ask the really tough questions. It almost doesn’t matter what the starting point is for a project when your real goal is to get to the deeper issues inside a business. With all these shifting agency services, it’s hard for clients to know who to turn to these days for advice on big problems. 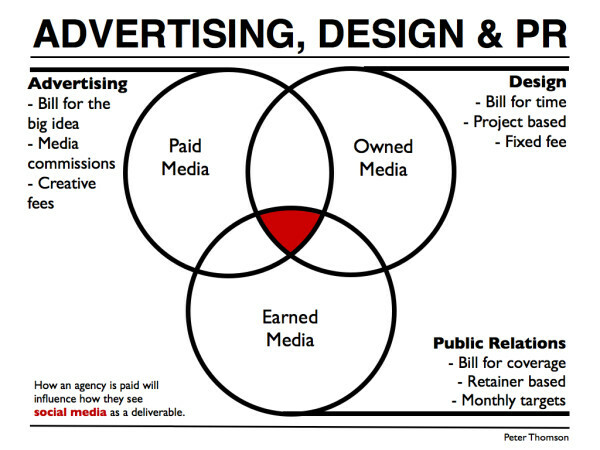 Advertising, design and public relations all have something useful to contribute to social media. But they come from very different worlds and they each have hidden biases. Customers just experience the end result, but the way a company builds their reputation can be secretly swayed by the type of agencies that a company hires to help out with their social media. 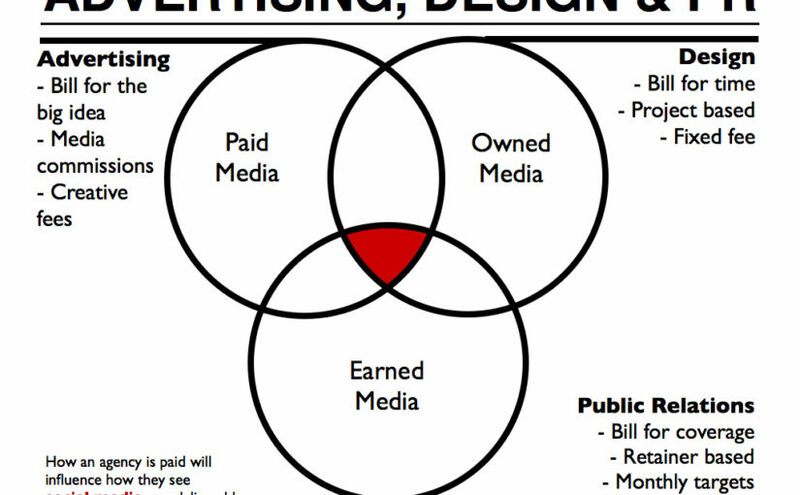 Owned, earned and paid media all add up to an overall impression of the brand. 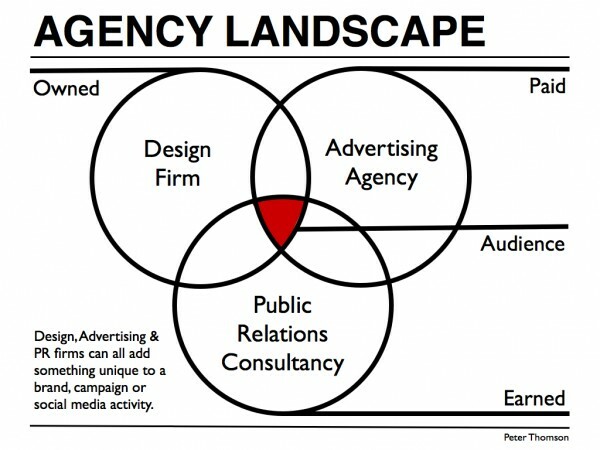 The business model of different agencies influences their approach to social media briefs. I arrived in London at the height of the global financial crisis. Back then no one was hiring for Brand Strategists because it’s not a good look to do a new logo when you’ve just laid off 10,000 people. And it’s definitely not a good look to do a management workshop about the meaning of life to then choose the colour of the new logo when you’ve just laid off 10,000 people. So brand strategy (and in particular, the management consulting style brand strategy that I was most experienced in) had fallen off a cliff. It’s not an easy time for students wanting to figure out how to get a job in advertising. 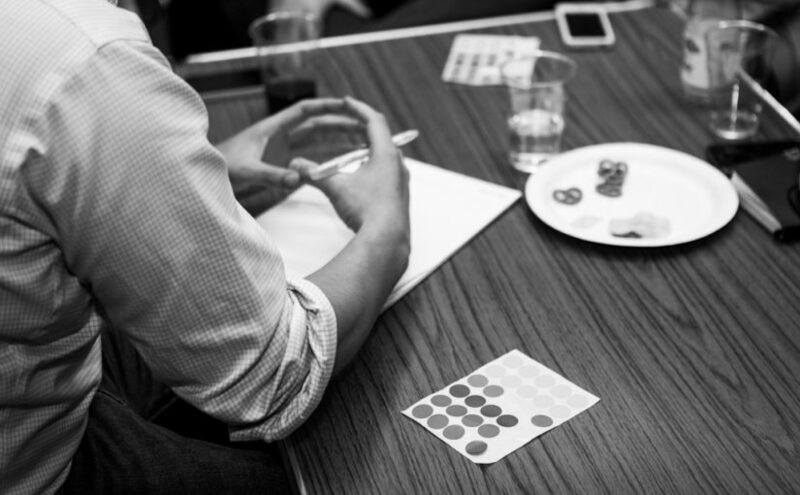 You need to fight hard to get your first job in the creative industries. I recently gave a speech to a group of students from Temple University about creativity in business. The most common questions afterwards were about careers, internships and jobs. It seems that finding a job in advertising is proving even more difficult than ever. 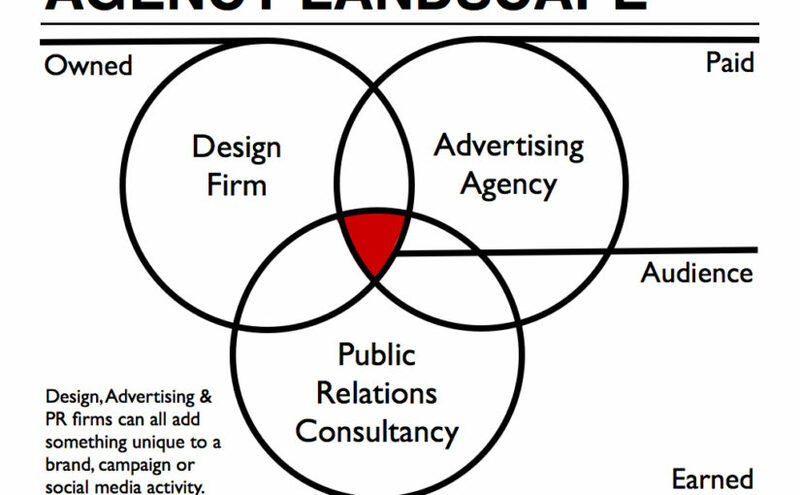 Advertising, Design and PR agencies have traditionally stayed out of each other’s territory. But digital, brand and social media are changing this.